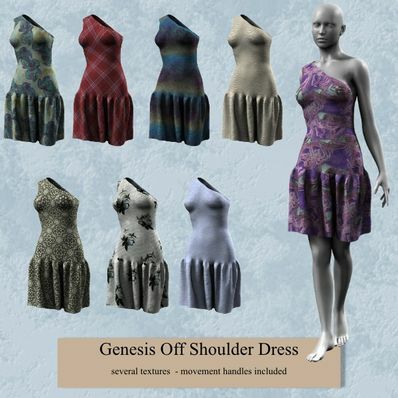 An Off Shoulder Dress for Genesis for use in Daz Studio 4. Just adorable. I love the entire dress.